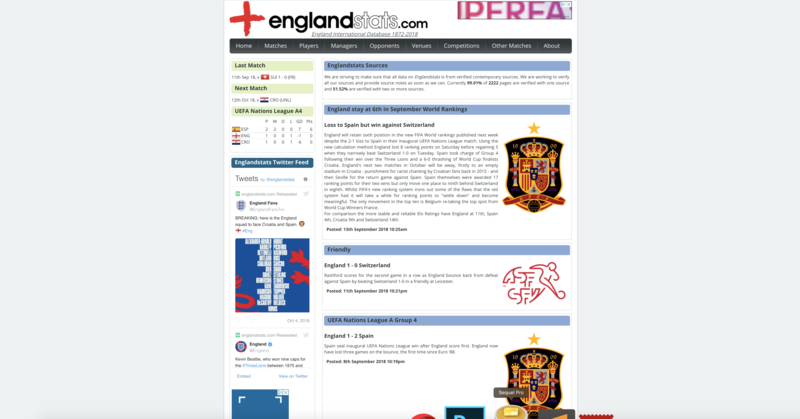 Englandstats.com, a complete database of England Internationals since 1872. This, GingerPower’s longest-running project, started in 1998 and is constantly being updated. 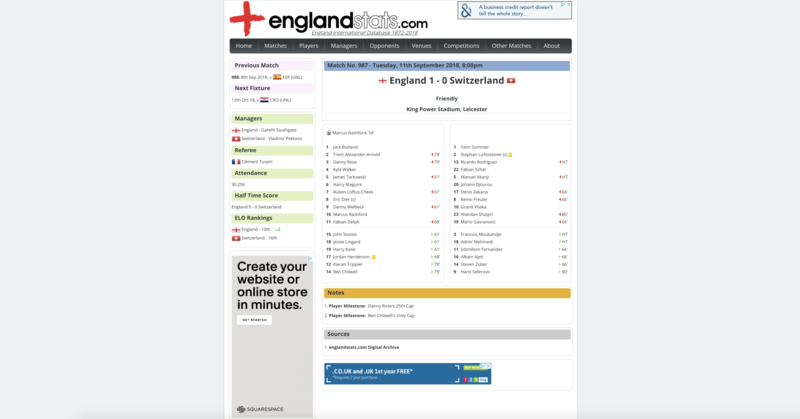 The site is frequently referenced by Wikipedia, other footballing websites, books and media outlets as a direct source for the England National Team. Its database now holds the details of over 1,200 players and 950 matches with the ability to cross-reference. The latest addition is a powerful custom-designed and built, intuitive query engine which allows users to search for matches and players very specifically. It averages 10,000 hits per day and on days of England matches can reach 60,000. The project is forever evolving – just like the story of England’s national football team.